If you had asked me my thoughts on high top wedge sneakers a year ago, I would've said "hell no, no way, never". Let's just say the style really grew on me and I'm now eating my words. I should've known to never say never! As you've probably guessed, I'm sneaker obsessed these days and this wedge pair (from Target!) is the latest addition to my growing collection. They're almost identical to the ones by Isabel Marant, only mine cost less than $20 bucks! I've always been a huge fan of monogrammed jewelry, so naturally I'm completely in love with my delicate yellow gold "e" ring (my daughter's first initial). If you like what you see, be sure to check back tomorrow for a fun giveaway! Very nice and relaxed outfit! Great sneakers! 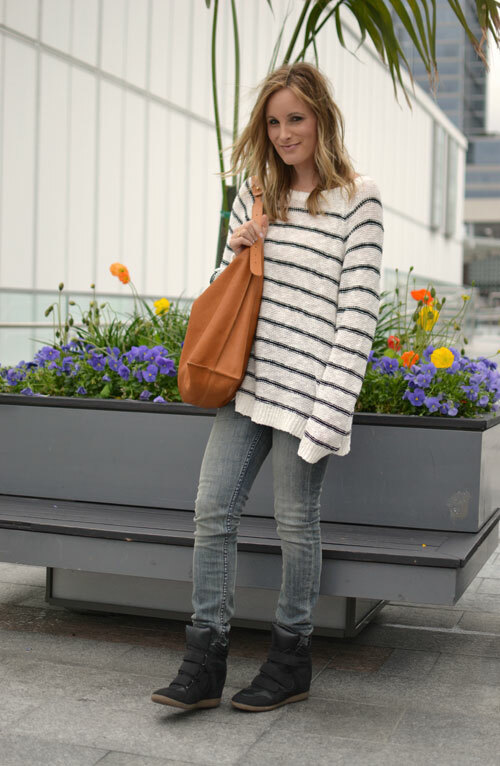 Love this oversize sweater and you pull off the wedge sneakers so so well. 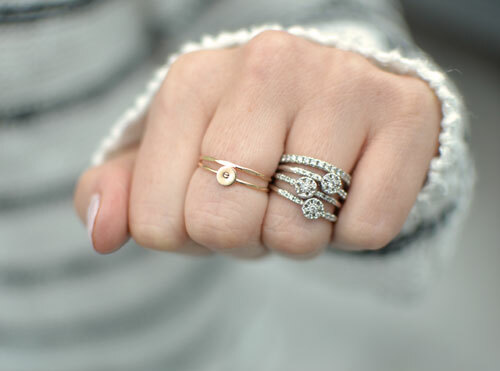 Love that sweater and those rings! Gorgeous! I too was opposed to wedge sneakers, but now I love 'em! So comfy!